本公司在1979年成立於香港, 是一間具備工三十多年生產板金產品經驗並通過ISO9001:2000驗證的企業. 專業製造各樣五金機箱, 暢銷國內, 歐美及亞洲多國. 旗下位於廣東省東莞及褔建省泉州的廠房, 現有職工100名, 當中有專門負責設計, 生產, 管理的專才. 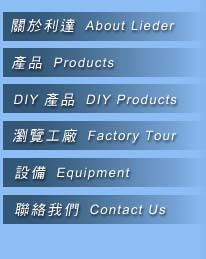 LIEDER was established in Hong Kong in 1979, focusing on sheetmetal based manufacture. We are accredited with ISO9001:2000. Today, we have production plants in Dongguan, China and Quanzhou, China with 100 skilled & dedicated workers.